On Thursday 1 October 2015, the shipping sector received recognition for its role in rescuing thousands of migrants from the Mediterranean. 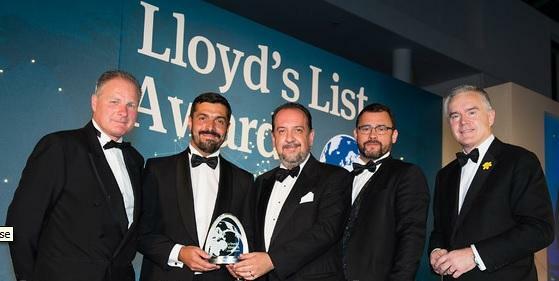 At the prestigious Lloyd’s List Global Awards, one of the world’s oldest journals in the shipping sector, the Seafarer of the Year award was handed out to the European Transport Workers’ Federation (ETF), the International Transport Workers’ Federation (ITF), the International Chamber of Shipping (ICS) and the European Community Shipowners’ Associations (ECSA) for their collective efforts in the humanitarian crisis in the Mediterranean Sea. In April of this year, the European and global operators of merchant ships joined forces with seafarers’ unions and sent a joint letter to leaders of all 28 EU Members States, warning that the migrant crisis in the Mediterranean is spiralling out of control. In the letter they called for urgent action from EU governments by giving immediate priority to increasing resources for Search and Rescue operations. Following months of continuous deterioration, the EU’s efforts finally seem to be paying off as an increasing proportion of the migrants is now rescued at sea by bespoke and dedicated national and EU forces (coast guards, navies, Triton).